SCARCE is now offering recycling for x-ray, MRI and lithographic film. If you are cleaning out and come across old x-rays, save them and bring them in to SCARCE. Film will be collected at SCARCE and then recycled by B.W. Recycling, Inc.
X-ray, MRI and lithographic film is coated with silver, a rare earth mineral, that can be recovered from x-rays for recycling and reuse. The film itself is made of PET plastic, the same that is used commonly for water bottles. The clean PET will also be recycled. Collect your x-ray or lithographic film. Separate the film from paper envelopes, medical sheets, personal information etc. Once you have the x-ray film separated, pack it up in a box and bring it to SCARCE during our donation hours: Tues-Fri 9am-4pm. Please note: SCARCE is not liable for privacy protection. All collected film will be recycled but it is your responsibility to remove personal information prior to dropping off at SCARCE. View the full list of what SCARCE accepts for donation. 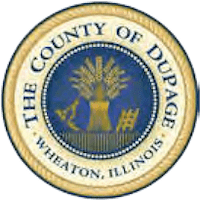 This collection program was made possible by a grant from the DuPage Foundation.